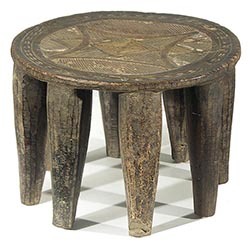 All of our Nupe stools have been sold and are left here for reference and educational purposes. Most Nupe are Muslim and their art is therefore abstract, with only some stylized animals in relief on their doors and some pots. 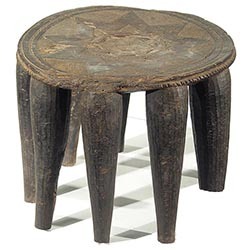 The stools come in many forms yet are all carved from single blocks of wood. 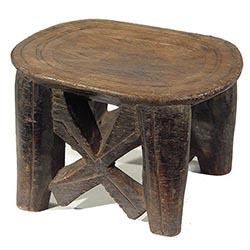 Amazingly, the grain of the wood runs horizontally, even across the legs. 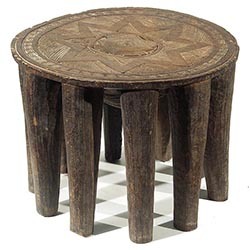 All share a richly carved top surface. 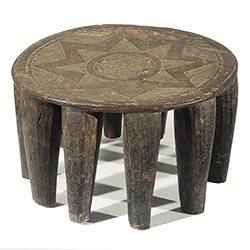 Many Nupe stools are made to be sold, but these all have signs of use.